14th Nov 2018. The best way to celebrate Children’s day is by spending a day with them and making them happy. This is what our volunteers did on 14th Nov’18. Not just the children; but even our volunteers had a good time together. 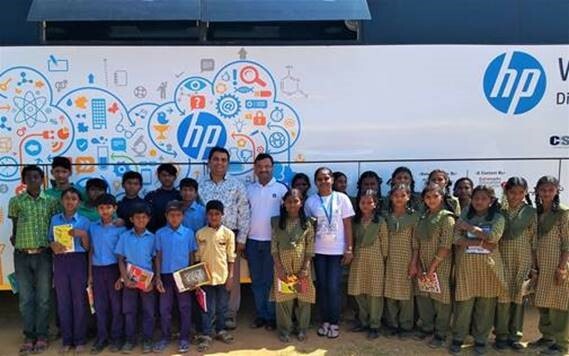 • Nearly 50 students participated in these classes conducted by HP Employees. • Teachers from the school also took part in the WoW experience. • Our Volunteers later conducted games for the children. We also donated sports equipment to the school. • Children’s day celebration concluded with some dance and song by the students . A big Thank you to the group of enthusiastic volunteers who share a passion to give back to our communities. Making It Matter is a part of our HP DNA, and is the HP way of our lives.